“It’s kind of like the academics hall of fame,” explained Rhoda Howard-Hassmann, Canada research chair in international human rights and a professor of global studies at Wilfrid Laurier University. Howard-Hassmann, who has been a Fellow of the Royal Society of Canada (RSC) for nearly 20 years, is a recent recipient of the Sir John William Dawson Medal on behalf of RSC, in recognition of her outstanding contribution to interdisciplinary research. Established in 1882, RSC consists of Canada’s most distinguished scholars, artists and scientists. Its objectives are to promote learning and research in the arts, humanities and the natural and social sciences. The Sir John William Dawson Medal is awarded bi-annually to an individual who has made important contributions in at least two different domains of research. Howard-Hassmann is known for her dedication and contribution to the study of human rights. However, her work spans across multiple disciplines. “Officially, I’m a political sociologist, but I use a lot of history, a lot of politics, law, some sociology and economics,” she explained. 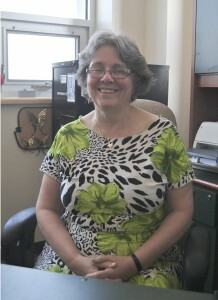 She noted that the majority of her work has been connected to human rights, including her PhD, which she received in African Studies. Darren Gilmour, the executive director of RSC was thrilled that Howard-Hassmann was recognized yet again by the Society. Howard-Hassmann has had a long and distinguished research career, serving as one of the first scholars to approach the study of human rights from a social science perspective. Her research is currently focused on state-induced famine, looking primarily at countries such as Zimbabwe or North Korea. Her work has covered many different areas of human rights, from both an international and domestic perspective. Gilmour explained that the distinction of the Sir John William Dawson Medal speaks to the value of Howard-Hassmann’s work.